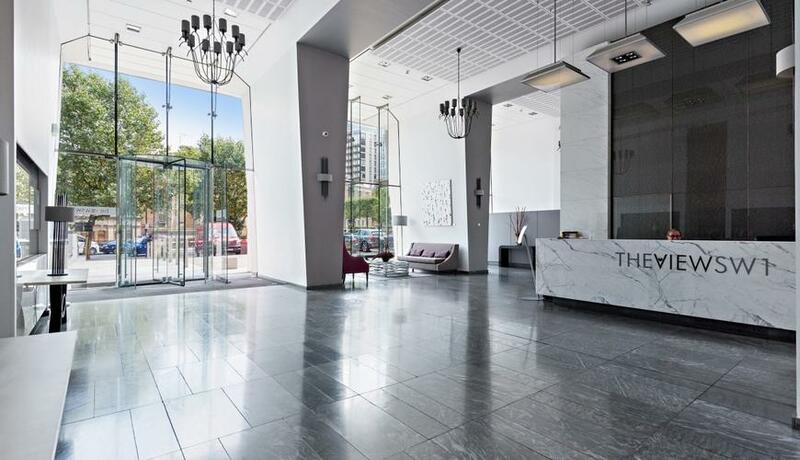 A particularly spacious lateral apartment located on 2nd floor of this contemporary portered building overlooking Carindal Place Shopping Centre in the heart of Victoria with private balcony. 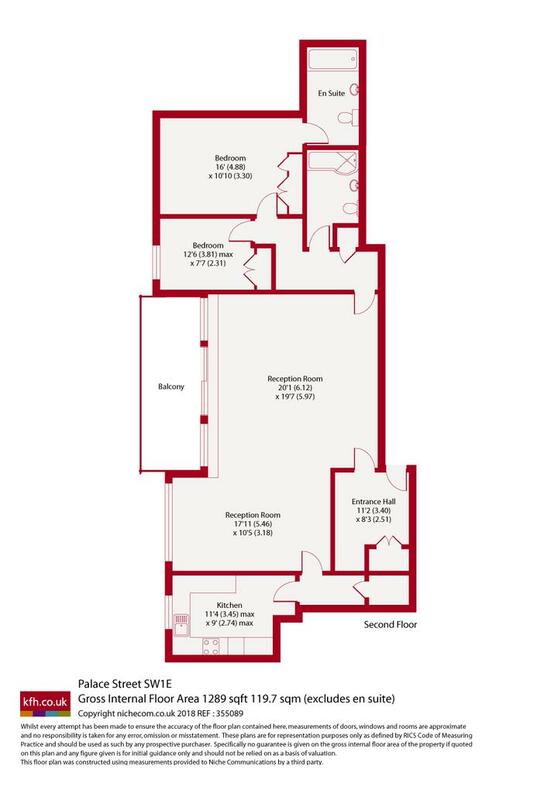 The property comprises a spacious reception room with dining area and private balcony, a separate fully fitted kitchen, two double bedrooms with fitted wardrobes and en-suite to master bedroom, a separate family bathroom with shower over bath and a large entrance hall will ample storage. The building itself is beautifully maintained and benefits from a 24 hour concierge. The View is located in the Centre of a vibrant and fully revitalised Victoria with a plethora local shops, bars & restaurants as well as Victoria station with District, Victoria & National Rail so is perfect for professionals with a thirst for things to do.